Small Beer Press, 9781618731302, 224pp. 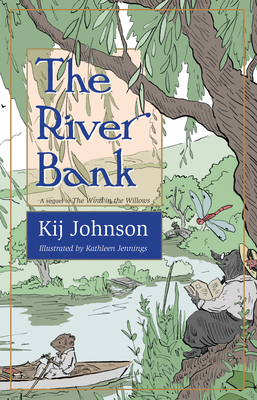 Washington Post Notable Books: "A charming and funny sequel to Kenneth Grahame's Wind in the Willows." In this delightful dive into the bygone world of Kenneth Grahame's The Wind in the Willows staunch Mole, sociable Water Rat, severe Badger, and troublesome and ebullient Toad of Toad Hall are joined by a young mole lady, Beryl, and her dear friend, Rabbit. There are adventures, kidnappings, lost letters, and family secrets--lavishly illustrated throughout by award-winning artist Kathleen Jennings. Kij Johnson's stories have won the Sturgeon, World Fantasy, and Nebula awards. She has taught writing and has worked at Dark Horse, Microsoft, and Real Networks. She has run bookstores, worked as a radio announcer and engineer, edited cryptic crosswords, and waitressed in a strip bar. Kathleen Jennings was raised on fairytales in western Queensland. She trained as a lawyer and filled the margins of her notes with pen-and-ink illustrations. She has been nominated for the World Fantasy award and has received several Ditmar Awards. She lives in Brisbane, Australia. Kij Johnson's stories have won the Sturgeon, World Fantasy, and Nebula awards. She has taught writing and has worked at Tor, Dark Horse, Microsoft, and Real Networks. She has run bookstores, worked as a radio announcer and engineer, edited cryptic crosswords, and waitressed in a strip bar. Kathleen Jennings was raised on fairytales in western Queensland. She trained as a lawyer and filled the margins of her notes with pen and ink illustrations. She has been nominated for the World Fantasy award and has received several Ditmar Awards. She lives in Brisbane, Australia.